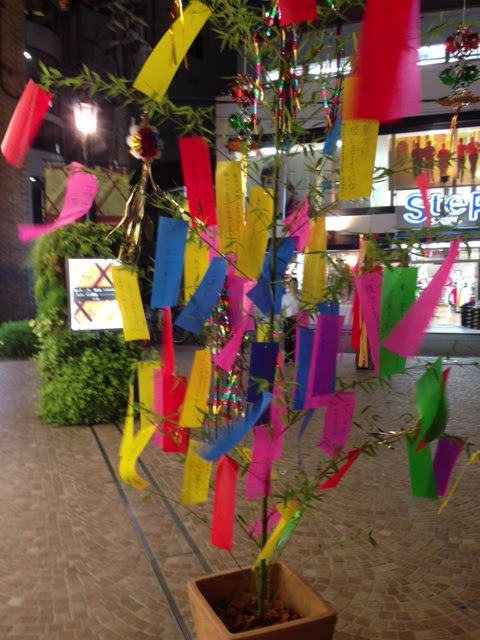 The festival known as Tanabata is celebrated on July 7th in most parts of Japan. Legend has it, it's the one day of the year when the King of the heavens allows his daughter, Orihime to cross the Milky Way to meet her true love, Hikoboshi, the cow herder of the stars. It's a sad story, but a sweet one. 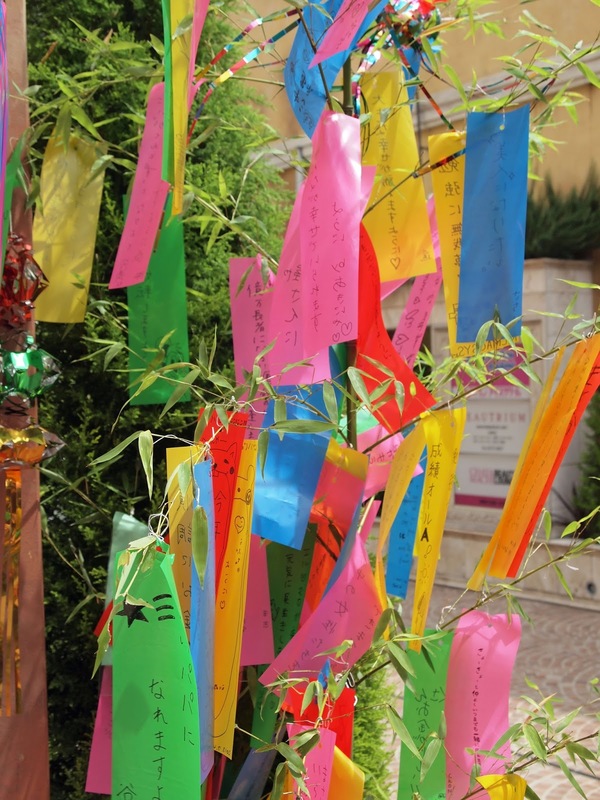 In Japan, Tanabata is celebrated by writing wishes on colorful strips of paper, and tying them onto bamboo. 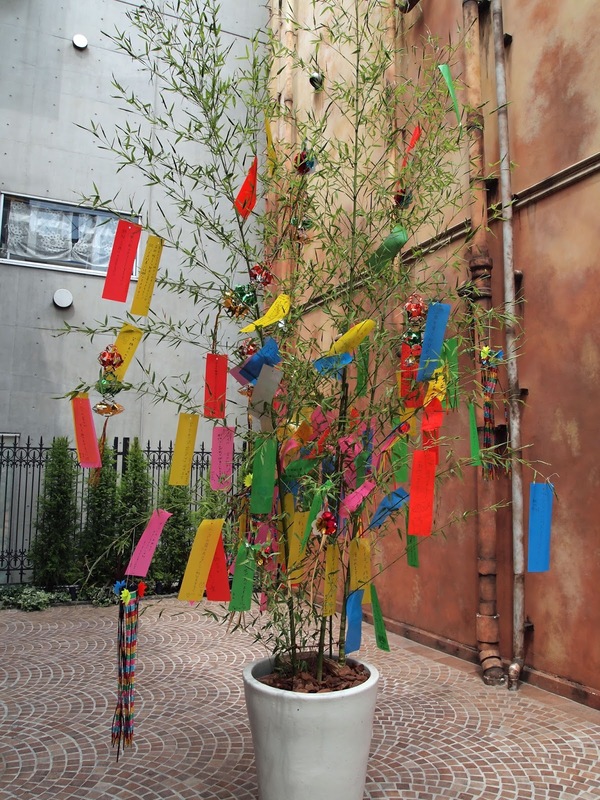 These Tanabata trees are so pretty and for me, a real sign of summer in Japan. 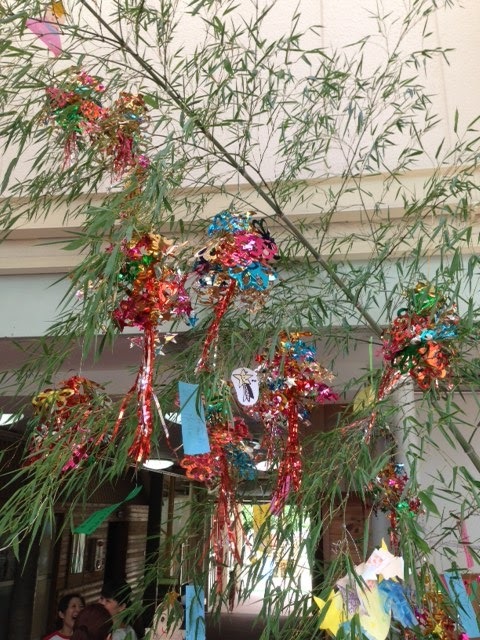 I think it's one of the nicer festivals in Japan, and I've been collecting photos of some of the Tanabata trees I've come across this year. 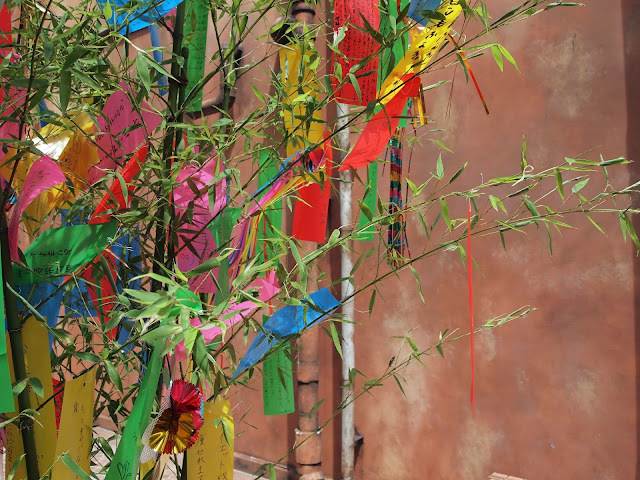 Aren't they so pretty and colorful? !